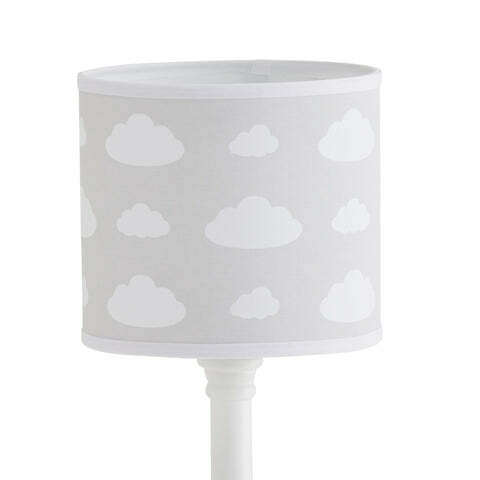 Children's Bedside Lamp, Clouds | Great Little Trading Co.
Made from: Shade: 100% cotton. Resin base. We've designed this sweet lamp specially for children; there's no danger of unexpected burns and fires thanks to a fully enclosed LED bulb. 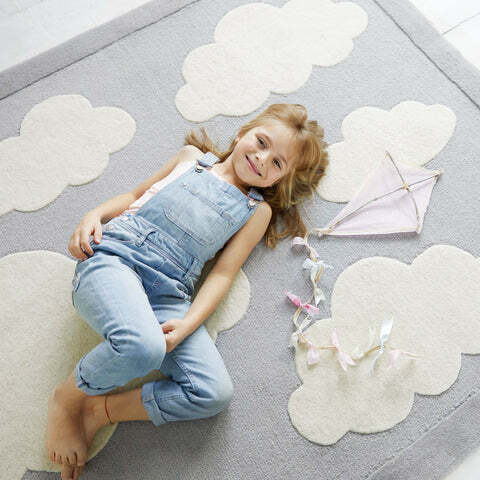 This design would look beautiful in a children's nursery, especially teamed up with our lovely Clouds Rug. This lamp includes the lampshade, a resin base, and an encased 1.6W LED bulb. The bulb has a lifespan of roughly 20,000 hours; it cannot be replaced but its estimated lifespan is 15 years, at four hours a day. 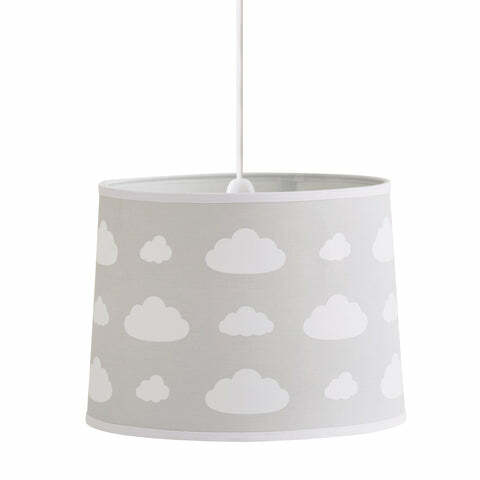 Team up your lamp with the matching Clouds Ceiling Shade and Wallpaper for a gorgeous co-ordinated look; it also looks fabulous teamed up with our Grey Star range.